When you look at Proxima for the first time, you might think that this is another LED wristwatch concept with futuristic design. But this stylish concept is more than that. 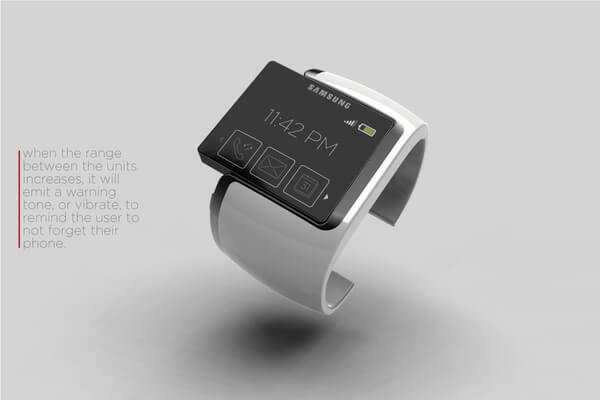 In fact is a 2-in-1 product because it’s a LED wristwatch and phone at the same time. The project was developed by Johan Loekito in collaboration with Samsung Design America in fall 2009. Starting from the idea that “you’ll never loose your phone again”, Proxima features a proximity sensor which detects the presence of the detachable unit. It reminds you through a warning vibration or sound to not forget your phone when you’ve moved away from detached unit. Detachable unit have a color e-paper display and a dual LED display. To set on calling mode, you simply detach the screen and open it if you want to send messages. Keeping the screen in the compact mode means that it is closed.